Jewelry showcases are not just those that carry jewelry. Sometimes we think that showcases are simply the window to open to buy our products. However, at this point we should know that they are not. 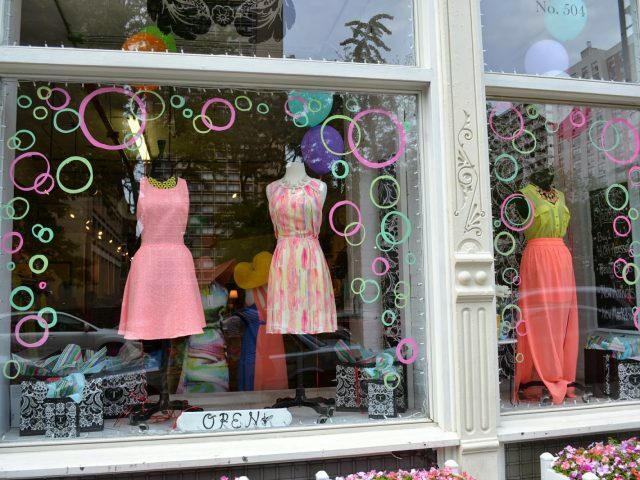 Showcases have a function beyond that of attracting customers. The spaces open to the human being seem pleasant to him and the same is with the showcases. As humans we have the curiosity and instinct to want to see everything, so these showcases are designed for that. These jewelry showcases do that as well as protecting the jewelry. They provide a whole context where they are attractive to consumers and give them a certain status. The designs will always be made by you, to your exact measure and with the characteristics requested. Our jewelry showcases have the best price in the market. Above all it’s your satisfaction! Just contact us for more information! One of the best jewelry showcases! The former takes advantage of walls and shelves to create spaces dedicated to various goods. It is ideal for small spaces. The second uses a diagonal shape that is ideal for stores that do not offer customer support. It gives high visibility to the merchandise from the checkout and the entrance of the store. Maximizes access to merchandise while the buyer walks through the store. Take advantage of the right side. Numerous studies show that most consumers, when entering a store, turn to the right. You should use that side of the store for the products you want to sell the most in the jewelry showcase. These systems were designed for use in medical offices where space is limited. Today they exist for retailers that allow them to increase and rotate inventory for sale without having to rent more space. However, the space is something vital for the jewelry case. Many retailers use surveys to determine the best way to organize space and sell more. But consumers don’t always answer honestly. Sometimes they don’t realize what they’re really doing. Other times they just want to finish answering to get on with their chores. The best option is to carefully observe how customers move around the store, where they stop and what they ignore. Above all are they, remember! To determine if these tactics work, you have to divide the store into sections. Measure the number of square feet of each section and mark the sales generated in it. With this data, you can calculate the sales per square foot of each section. You can compare how the sales per square foot in each section improve with the changes you set in motion. Another key measure is inventory turnover, which refers to how long it takes to sell something in the jewelry showcase. The longer it takes to sell a product, the more expensive it becomes, because it takes away the opportunity to sell something else during the extra time on the shelf. The goal is to maximize store space dedicated to high-margin products that take up little space and sell fast, and minimize space dedicated to low-margin products that take up a lot of space and take a long time to sell. The atmosphere has always been an important part of a showcase, because it manages to attract the attention of the public. Accessories used for the jewelry. The atmosphere is also aimed at a specific audience, usually upper-middle class people due to the price of jewelry in many cases. The attention provided also influences the interest of the buyers, because in many cases the setting does not convince them. However, everything is the vital importance. Our showcases are ideal for your business above all, just contact us. Pedestal display cases in Vancouver. 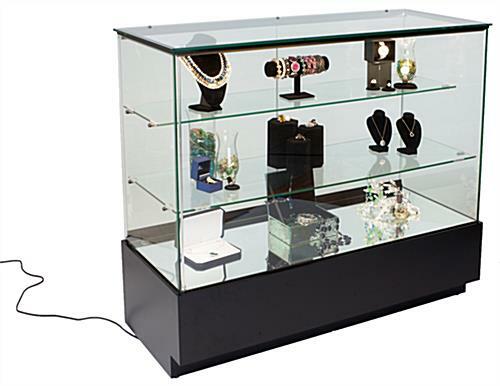 One of the most elegant showcases in our catalog are the pedestal display cases. They also have a unique design. The pedestal can have different shape, height and design. Each showcase is built with aluminum extrusion of the highest quality and accessories that complement it. On the other hand there are different options to equip your showcases with us. You can choose LED lighting, additional tempered glass responds, sliding or hinge doors, key locks, levelers or wheels. All these alternatives allow you to design the showcase of your dreams. Do not hesitate any more and contact our assistants. They will attend you gladly. 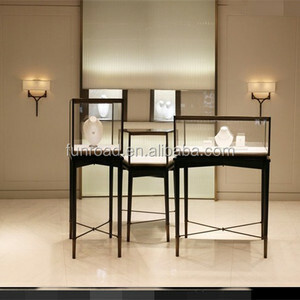 Jewelry Showcases are ideal for displaying jewelry collections and other fine jewelry items. The tall bases not only stand out the jewelry showcase from other display cabinets, but the height also emphasizes the merchandise you want to display. With that touch of class, the cases bring style to the most ordinary of retail stores, malls, kiosks, jewelry stores and museums or retail locations. The correct jewelry showcases not only highlight the beauty of a each piece, but keeps it nice and secure as well. The display space is right on the top so it gives your customers an excellent view of your jewelry they are looking to purchase. With a wide selection of dimensions, models and options there are many jewelry case options for you to choose from at the Jewelry Showcases Company . Show off your glass display showcase with a variety of colors and finishes and take a few more minutes to look at all the LED lighting options, security locks and shelving and storage options as well.